Need a lift for the day? 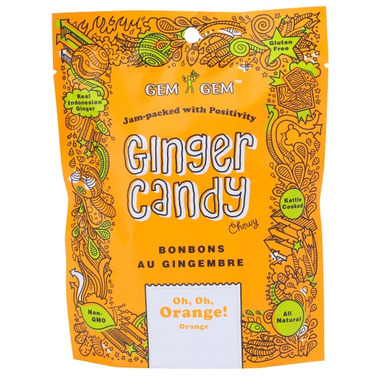 Try Gem Gem's orange ginger candy to enlighten your senses. 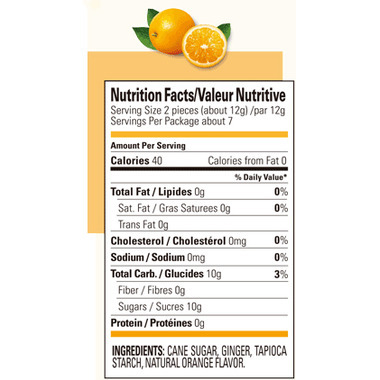 The burst of tangy sweetness will keep you alert and satisfied. As always, they only use natural ingredients of the highest quality. It‛s the perfect solution for a slow day. Really good! Awesome against stomac burn. Taste so good. Best Ginger candy out there! Delicious and not too strong. Very good for settling queasy stomachs or just to enjoy for a treat. There are several brands of "ginger candy" available these days and this brand is my favourite. I made the mistake of bringing to the office and now the bag is gone. Time to order more! Love these! They have a bit more ginger sharpness than the other flavours, I love them all but these are my favourite! A friend introduced me to these wonderful ginger candies. Never had a ginger candy with a flavour, and the orange is very complimentary. I will be buying these again.